The Aphex Microphone X is a 24-bit USB condenser with onboard analog processing controls. The compressor is controlled with a simple on/off button. No adjustment of frequency or amount is provided. The two tone-shaping circuits have independent level controls; both are simplified versions of the circuitry in Aphex’ popular Exciter device, a stereo analog processor. Whereas the rackmount and 500-series Exciter have 3 controls for each channel of Aural Exciter (Drive, Frequency, Amount) and Big Bottom (Frequency, Harmonics, Amount), in the Microphone X there is a single rotary control for the level of each circuit. The Aural Exciter and Big Bottom circuits are not simply analog EQ devices, but rather manipulate harmonic content to enhance selected frequencies without changing gain. The Big Bottom circuit has been described as using frequency-dependent parallel compression. A rotary control on the front of the microphone sets the output level of the analog preamp feeding the ADC. Nonetheless, the effective sensitivity of the Microphone X is low for a condenser mic, and surprisingly low for a voice microphone, at 4.5mV/Pa. For recording voice, most users will need to turn the analog gain control to its highest level. Note that the Microphone X does not provide zero-latency monitoring, but only plays back the audio from the host DAW. 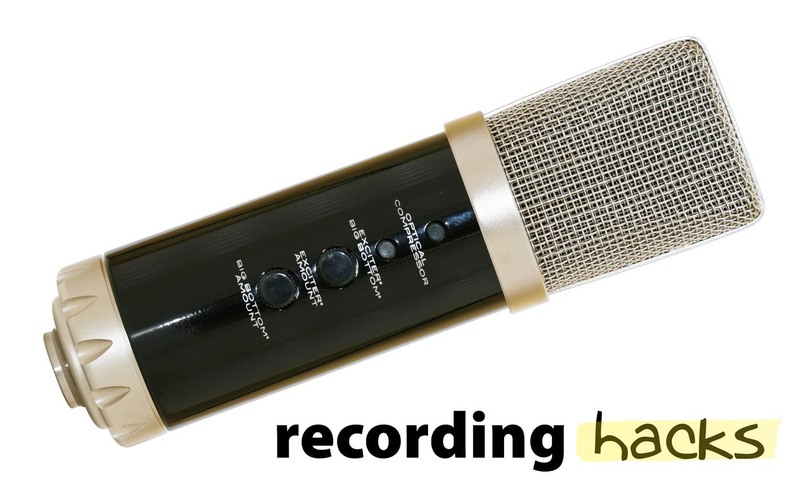 Therefore, monitoring of the Microphone X input signal must be done through the DAW, the same way a session using analog microphones would work. The ADC operates at up to 24 bit, 96 kHz, unlike the vast majority of USB microphones. The Microphone X ships with a USB cable, a desktop stand, and two DAW applications (Reaper and Harrison Mixbus). 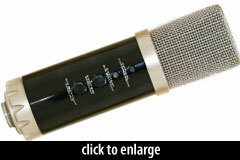 The mic was announced at winter NAMM 2013.